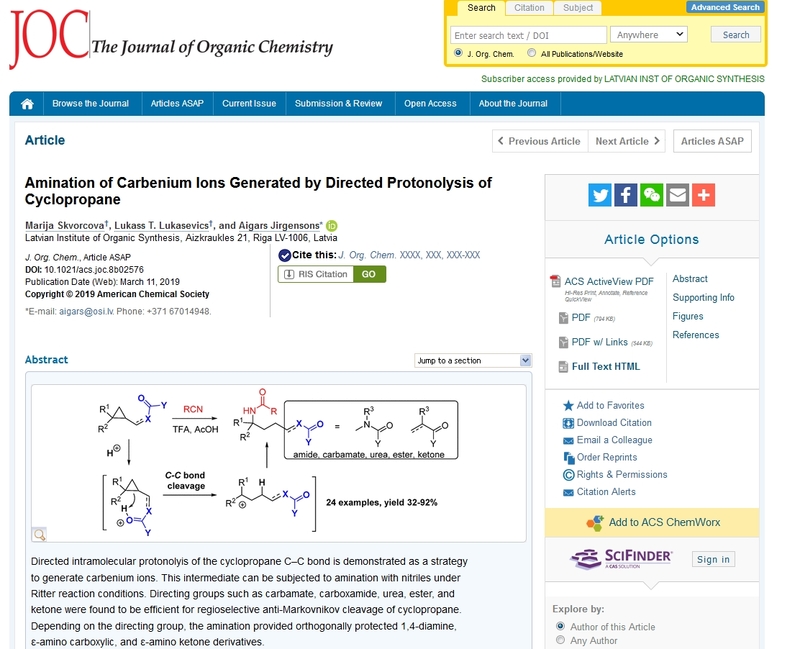 The research from prof. Jirgensons group (authors Marija Skvorcova, Lukass T. Lukasevics, Aigars Jirgensons) Amination of Carbenium Ions Generated by Directed Protonolysis of Cyclopropane (DOI: 10.1021/acs.joc.8b02576) was published in the Journal of Organic Chemistry (IF 2018: 4.805). This entry was posted on 2019. gada 19. March .